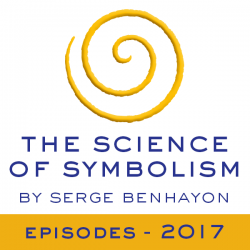 To subscribe to The Science of Symbolism 2017 online – simply click on the button below and proceed directly to the checkout. You will be asked to either choose immediate online payment (via PayPal or Credit Card) or offline payment (by Cheque, Money Order or Direct Deposit). Please ensure to complete the entire checkout process so that we have a record of your order. Once your payment is complete, your subscription will be activated and you will have access to the audio files in The Science of Symbolism Library download area as they become available. This will happen almost immediately if you choose to pay online or, in the case of offline payment, once we have processed your payment. In either case you will receive a subscription confirmation and or an invoice and email with further details. NOTE: The content made available through this subscription is for viewing on this site only. Any unauthorised downloading, recording, copying, distribution or other use of the content (or any part thereof) is a breach of copyright and strictly prohibited. Need to update an existing account? All content on this site © 2000 by Serge Benhayon, Universal Medicine / All Rights Reserved.